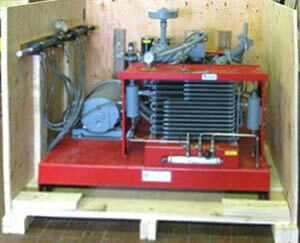 Mississauga Crating Service offers crating and packaging solutions for high value, heavy, fragile and unique items. 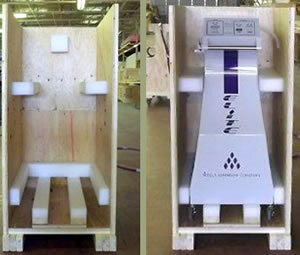 Most pack and ship companies have weight and size limitations, Mississauga Crating Service has the solution. Mississauga Crating and Shipping builds many kinds of wooden shipping crates for sale to industrial and commercial businesses as well as consumers in need of a crate for shipping. 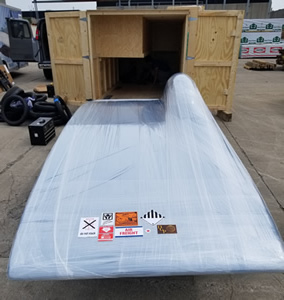 Customers who buy crates from us include companies and consumers that need to ship large items or equipment requiring a custom wooden shipping crate, or need a specialized crate made. Mississauga crating manufactures the most functional, well-built wooden shipping crates for sale for a variety of functions- from a custom trade show shipping crate, to crating very large items for ocean freight shipping, to building production crates in any small or large quantity. 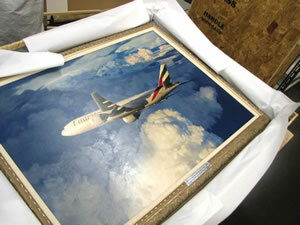 We build fine art crating that cushions artwork or sculpture with foam for protection during shipping. Our company also manufactures and sells small and large wooden storage crates and storage vaults, custom wood boxes with hinged lids and crates for shipping motorcycles. Our knowledgeable and experienced manufacturing staff will guide you through the crate making process with precise engineering to your specifications and great customer service to go along with the finished product. Mississauga Crating and Shipping also provides exceptional shipping services, whether you need domestic, international, standard ground, or fast. Our company is able to minimize cost, protect your valuables and effectively transport your goods in the most safe, professional manner. Our customers depend on us for proper shipping documentation, expert packaging, crating, warehousing, and consulting services.